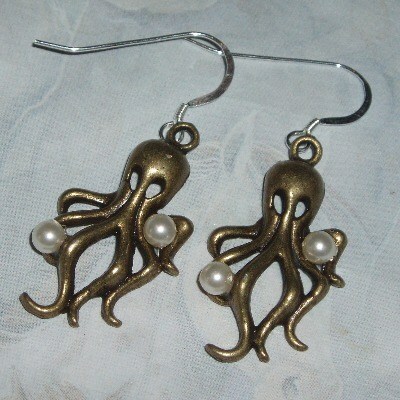 25mm Brass Octopus charms with faux pearls on Sterling wires. Really unusual and different to wear. The Steampunk look is very fashionable just now.